80-85 Buick LeSabre/Electra 80-84 Park Avenue 80-90 Estate Wagon Right passenger side fender in used condition. Has scratches and small dings from usage. Inner fender not included. 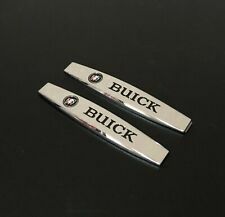 Only front lower chrome trim piece comes included. If interested in any other parts from this car please message me and I'll get them posted. As of 4/04/18 all parts are available and in fair to good condition. 80-85 Buick LeSabre/Electra/Park Avenue left driver side fender in used condition. Has scratches and small dings from usage. Inner fender not included. For fenders, hood, core support, radiator, valence, grills, and more. Pn# - INL15224 - 158 Piece Bolt Kit. Brake Hardware. Decals & Manuals. Firewall & Cowl. At Motorcity Muscle Car, it is important to us to protect the privacy of your personal information. Material: Polyurethane (PU) Features Color: Black. Commuciation is the best way to resovle problem. 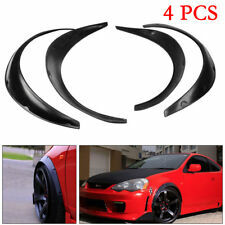 4PCS Car SUV Black Exterior Fender Flares Polyurethane/PU Universal Kits. Material: Polyurethane (PU) Features Color: Black. 100% genuine products! We will try our best to reduce the risk of the custom duties. For fenders, hood, core support, radiator, valence, grills, and more. 10 - 8mm x 1.25 Clip Nuts. AV11629 - 10 Piece Clip Nut. Brake Hardware. Decals & Manuals. Firewall & Cowl. At Motorcity Muscle Car, it is important to us to protect the privacy of your personal information. For fenders, hood, core support, radiator, valence, grills, and more. Brake Hardware. Decals & Manuals. Firewall & Cowl. At Motorcity Muscle Car, it is important to us to protect the privacy of your personal information. For fenders, hood, core support, radiator, valence, grills, and more. 10 - 6mm x 1.00 Clip Nuts. AV12575 - 10 Piece Clip Nut. Brake Hardware. Decals & Manuals. Firewall & Cowl. At Motorcity Muscle Car, it is important to us to protect the privacy of your personal information. For fenders, hood, core support, radiator, valence, grills, and more. MFG51535 & AV12343 - 4 Piece Bolt & Washer Kit. Brake Hardware. Decals & Manuals. Firewall & Cowl. At Motorcity Muscle Car, it is important to us to protect the privacy of your personal information. Message us with any other part inquiries! Universal 5D 2.5M 5cm Dual Colors Car Door Sill Scuff Pedal Protect Bumper Corners Fender Protector Side Body Skirt Eyebrow Grill Decoration Carbon Fiber Color Stickers. High-quality material protective layer, anti-scratch, protect the trunk door sill from scratches. Guide the sides of the hood to the fenders. Brake Hardware. Decals & Manuals. Firewall & Cowl. At Motorcity Muscle Car, it is important to us to protect the privacy of your personal information. Motorcity Muscle Car does not share or profit from any of your personal data. 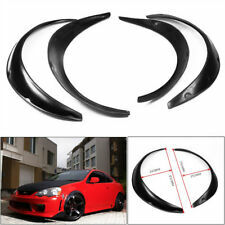 4pcs Universal Fender Flares Flexible Fender Durable Polyurethane For Car Black. Color Polyurethane Black. Material Polyurethane (PU). We will send you a new one after receiving the defective item. 12 months Warranty. Mounting style:Front or Rear Wheel Well Mount. Color/finish:Black(Carbon Fiber Plaid). We will reply you within 24- 48 hours. Length: 150cm each stripe. Quantity: 2pcs. 2 x Fender Flares Protector. Flexible enough to conform to different types of car body. We will reply you within 24- 48 hours. 2pcs Car Decorative Air Flow Fender Side Vent Cover. Make your car cool and distinctive. You can stick this on any part of car surface. This fast and easy decoration makes your vehicle stand out from others. 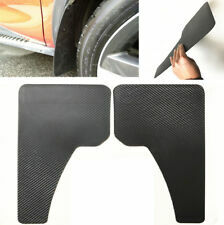 Carbon Fiber Widening Car Fender Flare Wheel Eyebrow Trim Protector Lip 2x150cm. 2 x Fender Flares Protector. Color:Carbon Fibre Color. We will try our best to make you satisfy. We will do our best to solve the problem. 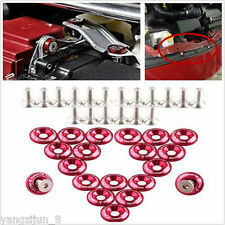 20 PCS ALUMINUM FENDER/BUMPER WASHER/BOLT ENGINE BAY DRESS UP KIT Red. 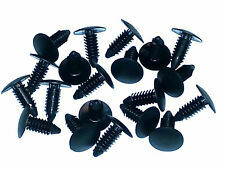 A Set Of 20 Washers With 20 Bolts. Fit nearly every late model vehicle's fenders, core supports, trunk, etc including GM, Ford, Honda, BMW and many others. We will try our best to make you satisfy. We will send you a new one after receiving the defective item. 12 months Warranty. About Warranty. This key bag can cover more than 96% of the market model keys. This is for the Passenger side rear. There are no hidden tricks or scams here! This is for the driver side rear. There are no hidden tricks or scams here! It is ready to mount on your pride and joy! This fender filler is a OEM part NOT cheap reproduction. There are no hidden tricks or scams here! This fits 1980-1985 Buick Lesabre or 1980-1984 Buick Electra/Park-Ave Rear Wheel Drive Cars only. This particular fender does not have the cornering lamp option, but the hole could be cut into the fender to accept it if needed. 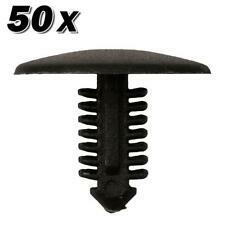 This fits 1980-1990 Buick Lesabre station wagon / Buick Estate station wagon ONLY. This Fender is an OEM part NOT a cheap reproduction.